10 Yahoo Smileys I Miss Most - A Rose Is A Rose Is A Rose! 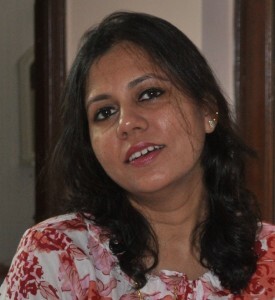 A warm welcome to my today’s guest blogger Chicky Kadambari. She is the first friend from virtual world whom I had the pleasure of meeting in the real world. And she is also the first virtual friend whom I have met the mostest. Well, that’s because we stay in the same city and we meet up frequently for chai and lunch parties for just the two of us! Kaddu, as she is fondly called, is a multi-talented and has diverse skills and interests. She is a Reiki healer, foodie, bibliophile, artist, amateur photographer and of course a versatile blogger. Her writings @ miss_teerious are fun and inspiring. I hope you enjoy her fun post today as much as I did. Okay Chicky, the floor is all yours. Do you remember those good old days when we used to chat on Yahoo Messenger? There was a phase in my life when I used to be online on Yahoo Chat all through my waking hours. I had even installed a Yahoo Pingbox on my blog’s sidebar, so that my readers could ping me on Yahoo while they were visiting my blog! Planned an entire bloggers’ meet in New Delhi via that Pingbox! But, you know what’s the one thing I miss most about Yahoo Messenger? It’s those smileys! Yes, there are so many new smileys now, both on Facebook as well as my “smart”phone, but somehow, none of these new smileys have been able to replace some of my most used Yahoo smileys from those golden days! And that’s how we used to end our chat conversations back in “those” days! All nice and proper… with a goodbye wave! 🙂 I miss this as much as I miss the ROTFL smiley! It’s been so long since we waved proper goodbyes to our chat partners, hasn’t it? At times, I still use the characters on gchat or whatsapp or Facebook, even though they don’t convert into the actual smiley. But, it’s so good to find a Yahoo chat pro occasionally, who remembers what these characters meant! Which one of these do you miss the most? Previous post What Did You Learn Today? Hahaha! We used to try Yahoo emoticons like this! One after the other! But really, Yahoo Messenger was an even bigger craze back then than FB is now! How come you never had interesting episodes on it to reminiscence about? I miss Yahoo smileys the most. They were fantastic. Wish whatsapp starts something like that. I just feel like using whatsapp because of those smileys. Harini, I think you were around at the time when I installed that pingbox. Do you remember? I wish whatsapp would get these smileys in its list. That would be just awesome! Thank you for having me here as a guest! No, I haven’t even logged into Skype for ages. I’m not sure I even remember my user name and password there! What a fun post! I’d forgotten about some of those smilies! I know… they should come up with something for that soon. It is essential. Awwww! Thanks Parul! 😀 And you’re so right… they were the best thing ever to happen on the internet! That ROTFL smiley!! I miss it every day! I hear you, Sreesha! And I feel the same way about that smiley! This makes me so nostalgic esp the blushing and waiting and rolf.. omg! they need to come back! I know, Pooja! They do indeed! Kaddu, I never have seen this, but I can see why you would miss them: how much fun they all are! I would have played with them tons! Is there an emoticon/image for that? 😉 I SO love ROTFL or =)) as well as Blushing :”> how cute is that?! 😉 And not to mention Rolling Eyes 8-| as I do that a lot in real life! 😉 However, as you probably noticed by now, I use simple smiles 🙂 (without a nose) and winks 😉 a lot to tease and denote a sense of fun. 😉 (ah, now that didn’t work…clicking on emoticon above!) Oh, and BTW, we have a lot in common as I studied Reiki, am a foodie (if that means I love food!) ;), bibliophile, artist at heart, amateur photographer, and versatile blogger – I know write some fiction! 😉 <3. Elly, you won’t believe it! At times, our chats merely consisted of exchanging smileys for several minutes at a go! We were so addicted to them! You have studied Reiki too? Which level? Do you practice regularly? hehe I miss all of these! The waiting one, ahh I used to love that one! What was your yahoo chat handle, Nabanita? Maybe we all should have a group chat on yahoo someday… to refresh memories! Thanks Vinitha! It’s the one I love the most too! Hahahaha! Exactly, Shesha! Or maybe rolling on the chair if not on the floor!